The rivalry between Spain and England we saw brewing in the previous chapter, highlighted by England’s defeat of the Spanish Armada in 1588, continued after Queen Elizabeth’s death in 1603. Since she had no children of her own, James Stuart of Scotland took the throne. That was ironic given that James was the son of Elizabeth’s old nemesis and cousin Mary, Queen of Scots, whose head she’d had chopped off. Under the Stuart’s Tudor predecessors, the English fortified their shores and started building the fleet that grew into the world’s most powerful navy by the 18th and 19th centuries. 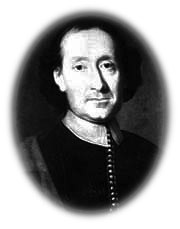 Just as the Spanish hired a Genoan to sail for them (Columbus), the English under Henry VII sent Venetian Giovanni Caboto to America just five years later, in 1497. 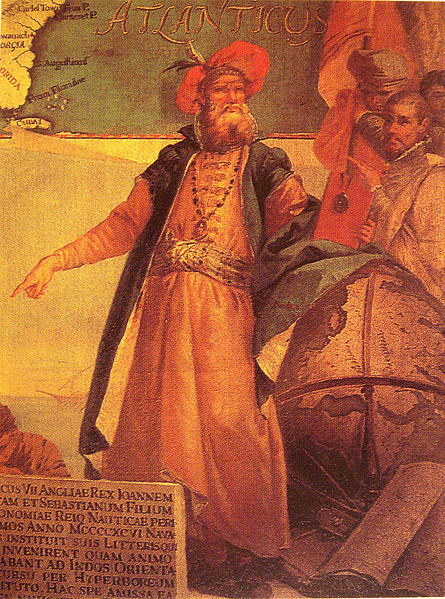 The navigator they called John Cabot (below) was the first European to explore North America’s Atlantic Coast since the Vikings fished there in the Middle Ages. Still, despite shipbuilding under Henry VIII, England was still a relative economic backwater in the mid-16th century, its wool exports intermittently cut off from Europe by the Hanseatic League around the North Sea while its only significant joint-stock venture, the Muscovy Company, swapped wool for Russian hemp, sperm oil, and furs. Under Elizabeth I, the English renewed their centuries-old claim on Ireland and took their first baby steps into the New World, while the Queen encouraged her mercenary sailors to plunder Spanish galleons in the Caribbean. Francis Drake even raided the Spanish Central American town of Nombre de Dios (now in Panama) in 1572, though most of their plunder was at sea. Elizabeth knighted these sailors, bestowing the title Sir on privateers like Drake, Walter Raleigh, and John Hawkins. The practice was common throughout Europe at the time and the English continued the tradition through the 17th century with buccaneers like Henry Morgan until a treaty with Spain. Privateers, as opposed to outlaw pirates, were sanctioned with letters of marque and flew the flags of their home country. They were instructed to attack enemy countries but not their own. 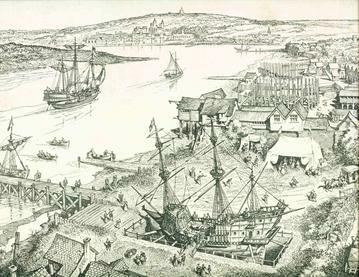 When Sir Francis Drake’s Golden Hind sailed into Plymouth in 1580 after its three-year circumnavigation of the globe, it held £50k (pound sterling) worth of stolen Spanish Pieces-of-Eight and gold bars to fill Elizabeth’s vault at the Tower of London, along with enough legitimate Asian merchandise to return investors fifty pounds for each one invested. Those were numbers bound to attract more backers for overseas ventures. While English finance was primitive at the time compared to Dutch, it was England that set its sights on North America. The Dutch had a big role to play there too by settling New Netherland (later New York). But for the Dutch, America was a just an indirect means toward the end of tapping Asian spice markets. They were searching for a Northwest Passage over the far north as an easier route to Asia and bumped into North America along the way. Still, they established an important foothold that became the Middle Colonies of New York, New Jersey, and parts of Connecticut, Rhode Island, Delaware, and Pennsylvania. The British, meanwhile, settled the Southern Colonies and New England (next chapter). Between them, the English and Dutch planted the seeds in the early 17th century for the colonies that became the United States a century-and-a-half later. The English had America’s East Coast in their crosshairs long before Elizabeth Tudor passed the throne to James Stuart. They had learned that the sea didn’t just provide defense for their island country; it provided an opportunity for wealth and glory. And, with England emerging as a Protestant country, their rivalry with Catholic Spain deepened. Even before their defeat of the Spanish Armada, a 1583 English translation appeared of Bartolomé de Las Casas’ Short Account of the Destruction of the Indies (1552), the Dominican friar’s scathing critique of conquistadors’ brutality that we saw in Chapter 3. Surely, Protestants could improve on Catholic efforts to convert and live among Indians. One of the Muscovy Company’s consultants, Richard Hakluyt, was a tireless promoter of England’s overseas potential and wrote histories of the early Iberian explorers to whet the public’s appetite. Thanks to Hakluyt, young English sailors dreamt of taking their place in history alongside legends like Columbus, Magellan, and Da Gama. 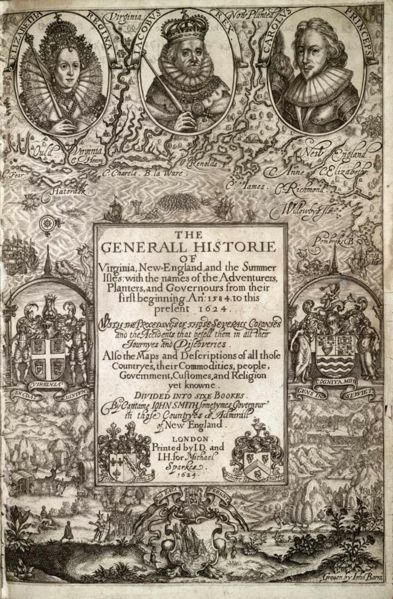 Hakluyt’s second book, The Principal Navigations, Voiages, Traffiques and Discoueries of the English Nation, “struck while the iron was hot,” hitting the presses just after England’s 1588 defeat of the Spanish Armada. 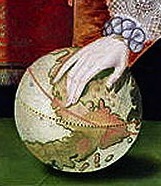 Notice in this cropped portion of Queen Elizabeth’s post-Armada defeat portrait (full view), that her right hand rests on a globe, directly on the Americas. As American colonizers, the English got off to a rough start under Elizabeth, with a failed attempt to settle St. John’s, Newfoundland and more nonstarters off the coast of present-day North Carolina, on an island in the Outer Banks called Roanoke. France and Spain had explored the archipelago it was a part of but weren’t interested in settling it. Elizabeth hoped to use the island as a base for her privateering campaigns against the Spanish. The first group of soldiers, chartered by Sir Walter Raleigh in 1584, sacked and burned an entire Secotan village on the mainland before giving up and returning home with Sir Francis Drake. 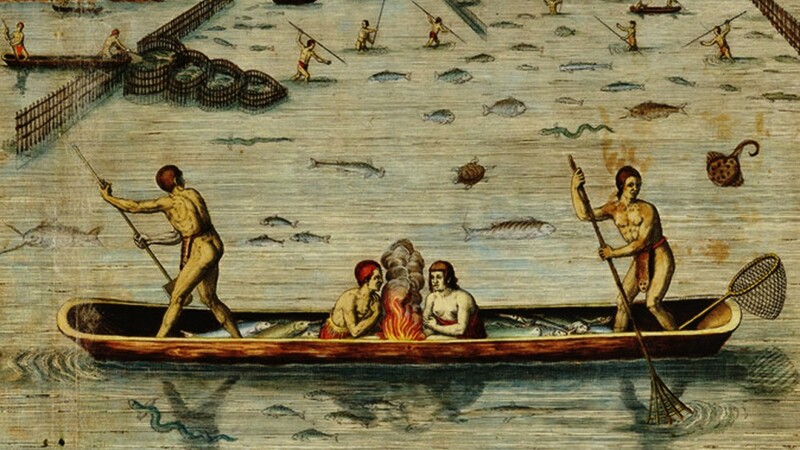 Fifteen stayed behind and the returning colonists brought tobacco, corn, and potatoes to England for the first time. They also brought back Sassafras, the most common treatment at the time for syphilis. Other voyages brought civilian settlers who forged better relations with Croatoan Indians but still didn’t establish a firm economy. A fourth group of 117 settlers set out to found the “Cittie of Raleigh” but disappeared and no one figured out what became of them. Their governor John White (artist on the first voyage, left) returned to England for supplies, but the Crown commandeered his ship for their war with Spain; the Spanish Armada invaded the English Channel the next year, in 1588. When White returned in 1590, they were gone. The only sign of them was the name of the local Indian tribe and nearby island, Croatoan, carved into a fort post and Cro carved into a nearby tree. There were no bodies or signs of an attack. In fact, they’d carefully dismantled their homes to preserve lumber and nails, suggesting that they moved. They agreed to carve a prominent Maltese Cross into a tree in the event of an Indian attack, but White and his crew found no such cross. Perhaps the settlers left for the tribe’s namesake island of Croatoan (now Hatteras Island) and perished at sea. Maybe Raleigh’s company buried the corpses to cover up their fate, so as to not discourage future New World settlement. Or, some survivors might have assimilated into the native population. Various local tribes on the Carolina mainland were said to have Caucasian traits, remnants of Anglo-Saxon in their language, or names similar to those who left Roanoke. A series of stones discovered in the 1930s supposedly carved by John White’s daughter, Eleanor Dare, explain how they escaped to the mainland, but most scholars are skeptical about the Dare Stones’ authenticity, theorizing that they resulted from publicity on the 350th anniversary of the colonists’ disappearance in 1937. Recently, though, amateur archaeologists and linguists have renewed investigations into the original stone while dismissing the numerous stones that came in its wake as hoaxes. Stones aside, historian James Horn agrees with the basic idea that the Roanoke settlers moved to the mainland, where some survived an Indian attack around 1607 and assimilated with local Algonquian Indians: Chowanoc and Tuscarora. Some were enslaved after the attack and made to pound copper, probably for ornaments. In the early 17th century, the English reported finding some mysterious fellow countrymen south of their new settlement at Jamestown. Their location matched the story of two Indians who reported the settlers’ attack, enslavement, and assimilation on a visit to London in 1609. 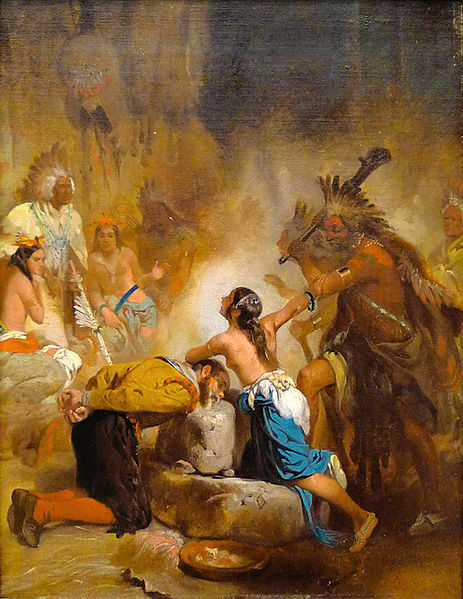 The Indians said the survivors included four men, two boys, and a young maid. The Jamestown settlers’ 1608 map on the right, later sold to Spanish ambassador Pedro de Zúñiga, describes “four clothed men” living along the coast who came from “Roonock” [Roanoke]. London settler John Lawson, who built near the Hatteras branch of the Croatoan tribe, said that some were white-skinned with gray eyes and could “talk in a book” (like literate English). When these white Indians saw Raleigh’s ship they said it was the same ship that had brought them to America. 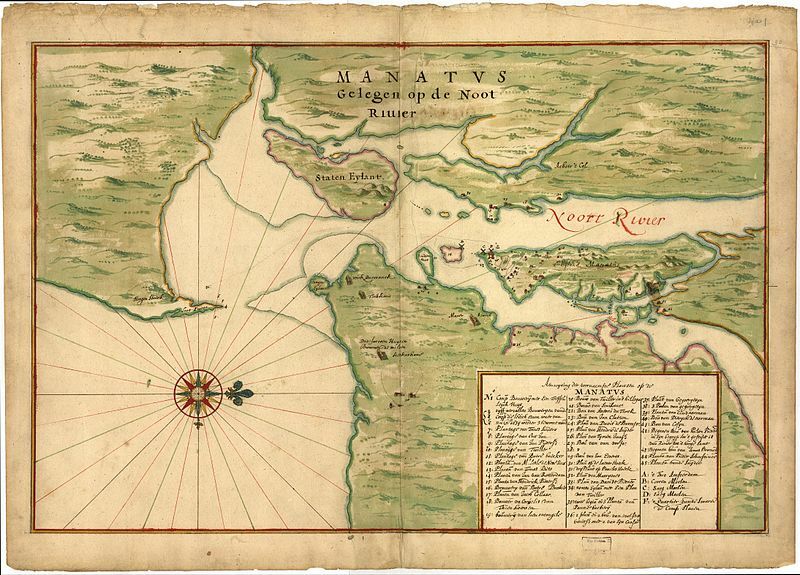 The Roanoke colonists had discussed moving to the mainland before, or what they called “into the maine [sic].” In 2012, researchers at the British Museum discovered that White’s Virginia Pars (Virginia Country) map has a fort symbol hidden under a patch at the confluence of the Chowan and Roanoke Rivers on the mainland where the colonists hoped to someday build a fort (roughly in the center of the map on the right, in today’s Bertie County). Raleigh may have wanted to cover up the fort when the map found its way back to London so that Spanish spies wouldn’t see it. However, there’s no archaeological evidence of a fort there under the current golf course. 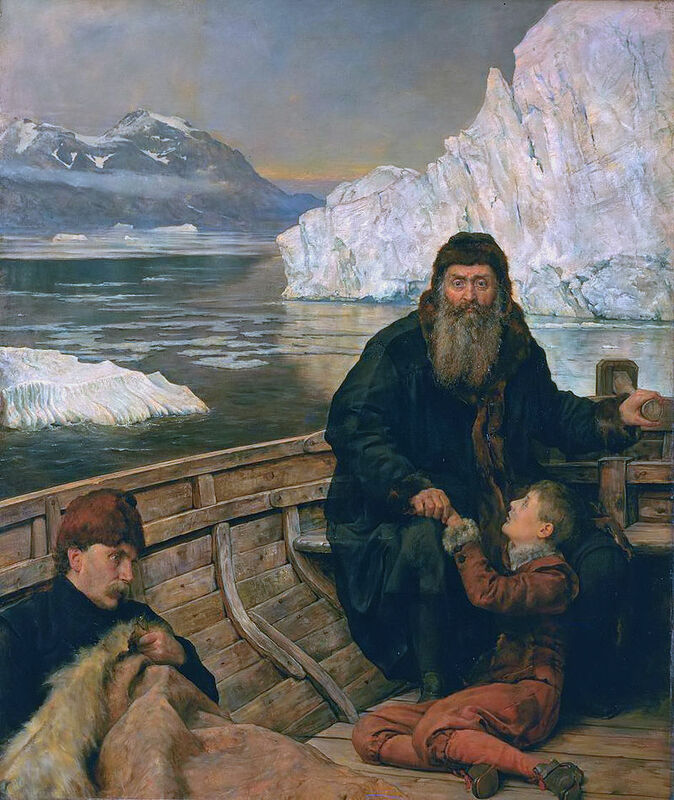 Surprisingly, when John White returned to America in 1590, he never searched Croatoan or the mainland because his crew refused to go any further and wanted to return to England before bad weather set in. Shakespeare’s last play, The Tempest (1610-11), set in the Caribbean, was likely inspired by the “Lost Colonists of Roanoke” and a ship called the Sea Venture that wrecked off Bermuda in 1609 bound for Jamestown. The survivors spent ten months there building two more ships before most of them made their way to Jamestown. Under James Stuart (King James I), the English formed corporations to promote settlement. The Sea Venture was the flagship of the joint-stock Virginia Company that hoped to settle Bermuda and mainland North America. 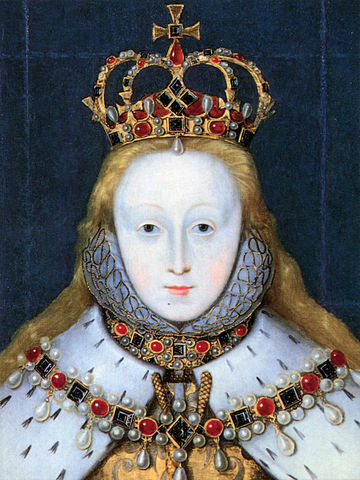 The Virginia Company was named after Queen Elizabeth, whose mythic virginity James I personally profited from insofar as he never would’ve become king if she’d had children of her own. The Plymouth Co. branch established a small colony at Popham, near the mouth of the Kennebec River in Maine, along with another further south at Cuttyhunk Island off present-day Massachusetts. Neither survived. 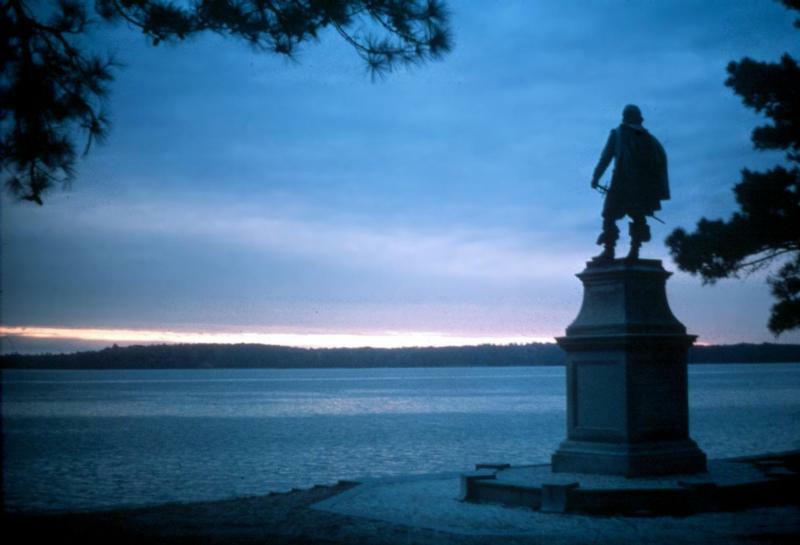 In 1607, the London Co. branch landed another group on an island along the James River, just upstream from the Chesapeake Bay, under the guidance of Captain Christopher Newport. 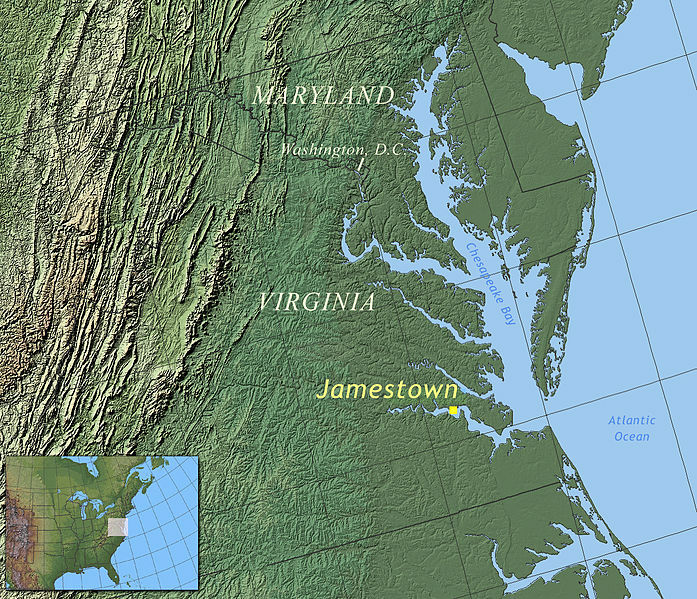 Jamestown Colony, named after the new king, was supposedly near enough to the Spanish to keep an eye on them, yet the Chesapeake’s inlets would offer them sufficient shelter to hide. It was such a logical place for a fort that the Confederates built one on the same spot over 250 years later during the Civil War without realizing that the first had been there. Jamestown’s settlers didn’t realize that the Spanish had spies in the area tracking their every move and had even sent missionaries and built their own fort there in the 1570s, that Algonquians destroyed. Spain’s ambassador to England acquired the sketch on the lower left and sent it to his boss, King Philip III. Worse, the English settled in a malarial swamp with none of the gold, silver, or spices they had been promised by one of the company’s original leaders, Bartholomew Gosnold. They were surrounded by the Powhatans (or Virginia Algonquians), one of the most powerful Indian confederacies in eastern North America. 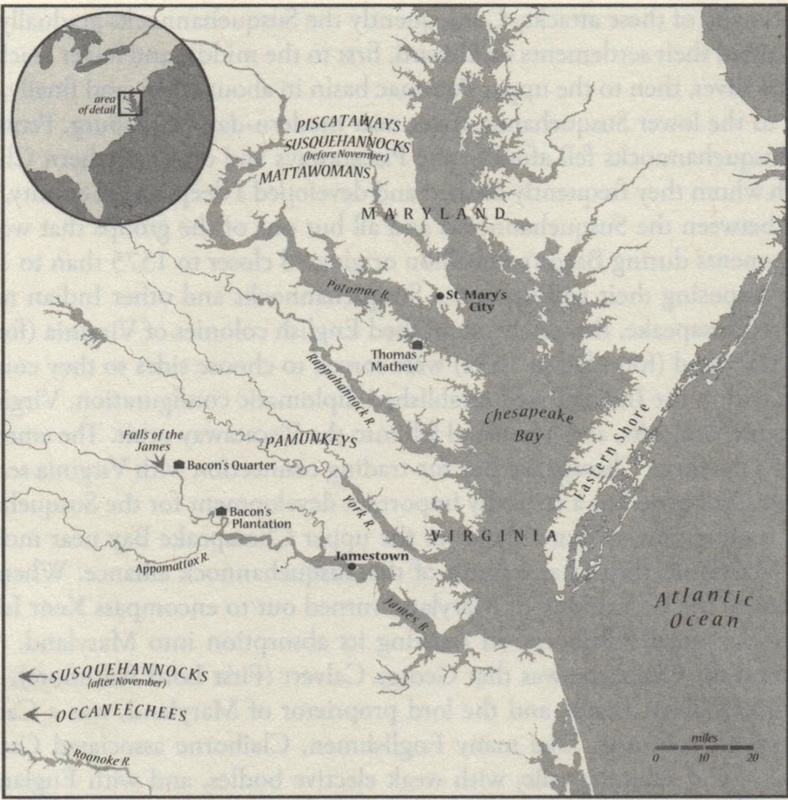 To top it off, their arrival coincided with an unusually long drought in the region the Powhatans called Tsenacommacah. 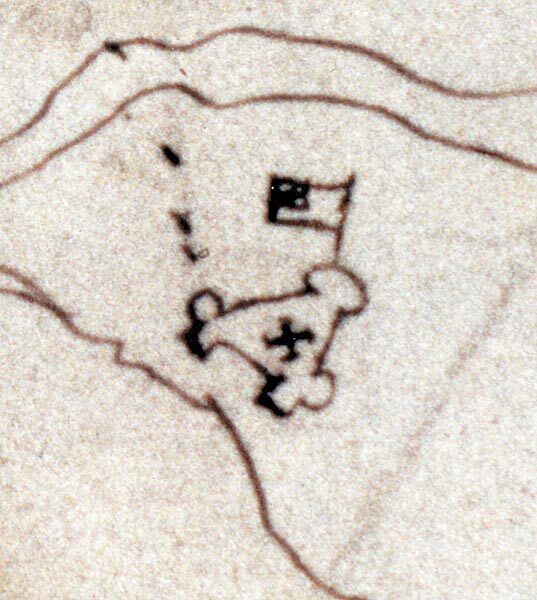 Sketch of the Jamestown Fort sent to King Philip III of Spain by his ambassador, Zuniga. 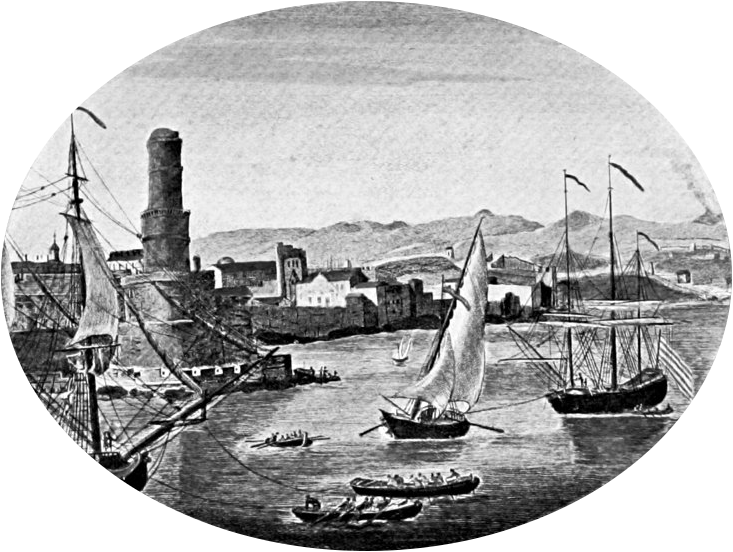 The sketch was found on the back of a map made by John Smith in 1608. After Gosnold died and Newport left to captain the ill-fated and aforementioned Sea Venture, leadership passed to John Smith. The worldly and adventurous Smith was an unlikely leader of the group given that he’d been imprisoned in the ship’s brig on the way over for trying to mutiny. Just twenty-seven in 1607, Smith had already fought and been knighted in Transylvania, imprisoned in Istanbul (where he purportedly fell in love with a captor), and trekked across North Africa before setting off to colonize America for the English. After the Sea Venture landed, the settlers opened a sealed envelope from the Virginia Co. containing the names of seven council members and he was among them. Smith was also America’s first historian, writing a colorful and self-serving account of his colony’s early history. Jamestown was not a resounding success story, though, at least not at the beginning. They drank from the same river they put their waste in and didn’t realize that the tide carried saltwater up the James River as far as their fort. For much of the year, the current was actually trapping their waste and salt near the fort instead of flowing out to sea. The craftsmen and gentlemen who made the trip in search of gold found none and were unable to plant crops the first spring. They weren’t immune to hard work — after all, they felled large trees and built their fort in less than three weeks — but, for reasons that remain unclear, they didn’t plant food and their hunger led to starvation and even cannibalism practiced on both Indians and fellow Englishmen. Forensic anthropologist Doug Owsley has reconstructed the face of a teenage girl they’ve named “Jane,” one victim of such cannibalism. Owsley’s team at the Smithsonian Museum of Natural History found marks on her fossil indicating that her brain, tongue, cheeks, and leg muscles were carefully carved out after her death. Starting in 1994, the one-acre fort area has provided a treasure trove for archaeologists with Jamestown Rediscovery, including a Protestant church and evidence that the Virginia Co. brought along at least one gunsmith, mason, barber, tailor, carpenter, and minister. Rosary beads and saint medallions show that Catholicism thrived underground even after England’s official break from the Church in 1534 (Chapter 4). Jamestown’s buildings were “mud-and-stud” construction with thatched roofs. Here is the archaeologists’ map of discoveries. Indian relations were touch-and-go, including trade (especially copper for corn) and romance interspersed with violence known as the Anglo-Powhatan Wars. Things grew increasingly violent when drought reduced the Powhatans’ corn crop and diverted the huge sturgeons they normally fed on. Powhatans were willing to help just enough to keep the English alive to maintain a supply of guns they could use on contiguous tribes to broaden their empire. This broader story was condensed and passed down to us in the form of Pocahontas’ romance with John Smith, with her saving him from decapitation or bludgeoning at the hands of her father, Chief Powhatan. Smith included the tale in his Generalle Historie of Virginia, New-England and the Summer Isles that he published in London in 1624. Many historians think that Smith and Pocahontas (born Matoaka) were never romantically involved — she was only eleven at the time — but either way, the Powhatans and English maintained their tenuous relationship. There’s a new theory that warriors really did threaten to beat Smith’s brains out and Pocahontas fell on him, but it was just a ritual that he misunderstood or they were just scaring him. Smith left Jamestown after rival leader Gabriel Archer tried to murder him by blowing up his gunpowder and Smith injured his leg. In London, he requested that the Virginia Company send a supply ship. When it finally arrived eight months after Smith’s departure, only 60 of the original 500 settlers were still alive. Historians now suspect that, in keeping with older legends long thought to be apocryphal, they only survived by eating those that died. During the so-called Starving Time (1609-10) Indian relations worsened, the palisades fell off the fort, they abandoned the church, and many settlers died of starvation and diseases like typhus or the “bloody flux” (dysentery). Besides the dead, survivors ate cats, rats, and shoe leather. Smith’s would-be assassin Archer also died during the Starving Time. The survivors had just resolved to abandon the fort and sail for Newfoundland in 1610 when a supply ship arrived with a year’s worth of food and more settlers. The colony barely avoided the same fate that met failed attempts in Newfoundland, Roanoke, Maine, and Massachusetts. The Virginia Company’s other success was Somers Isles, a tiny colony in Bermuda started by Sea Venture survivors who stayed behind and didn’t come to Jamestown. The English didn’t have a great track record, but two of their American colonies were at least hanging by a thread. John Rolfe was more responsible than anyone for saving the struggling Virginia settlement. He imported a South American strain of tobacco that grew well in the swampy soil. His first Jamestown crop was worth over a million dollars in today’s money. While smoking was virtually unknown in Europe at the time (more common in Arabia and Asia), the fad was catching on in England even before Jamestown’s settlement. Sir Walter Raleigh introduced it to England in the 1580s. There were hundreds of tobacconists in London by the turn of the 17th century, and some parents even had their kids smoke hoping to fend off the Plague. 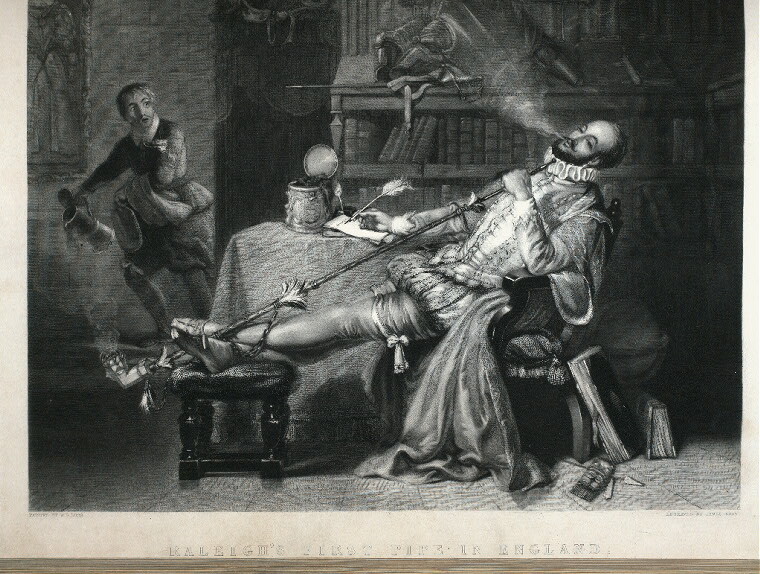 King James didn’t like the smell and objected to this “drinking of smoke” so vociferously that he jailed Raleigh in the Tower of London on trumped up charges that he was conspiring to steal the throne. James levied a huge sin tax on tobacco’s import and personally penned a diatribe against the habit entitled the A Counterblast to Tobacco (1604). He objected to the “cuftome lothfome to the eye, hatefull to the nofe, harmefull to the braine, dangerous to the Lungs, and in the blacke ftinking fume thereof, nearest resembling the horrible Stifian fmoke of the pit that is bottomleffe [Hell].” In early printing, the s and f were often interchangeable. But money talks and King James doth changeth his mind henceforth. The English found a source of raw wealth that enabled them to establish a foothold in the New World. Fifty years later, over half the men in England smoked pipes regularly. By 1619, the Virginia Co. decided that, because of its early struggles and the need to manage tobacco, it needed more organization and structure in America rather than trying to govern remotely from London. They set up a small-scale replica of British Parliament called the House of Burgesses. In retrospect, this humble assembly could be considered the beginnings of American government, though no one at the time envisioned a new country breaking away from England. At the time, though, the House of Burgesses provided a blueprint for the next twelve colonies, who likewise set up governments. British America, then, enjoyed more decentralized forms of self-government than either New Spain or New France. That left its settlers less encumbered by burdensome bureaucratic issues and the long communication lag of Atlantic voyages. These thirteen nurseries of self-rule paved the way for independence the following century. Tobacco cultivation dictated the demography of early Virginia — rural and dispersed along the rivers that flowed into the Chesapeake — with the prime real estate where plantations bordered the river. Slaves filled and marked “hogsheads” of tobacco (standardized 1000 Lb. barrels, right) that floated down patrolled rivers into the Chesapeake Bay, where ships inventoried supplies and credited respective plantations. Under the headright system, initial settlers could add fifty more acres to their original fifty for each new immigrant they sponsored by bringing them to America. The colony had no large cities and only a smattering of churches and schools. Mainly young male itinerant workers, slaves, and rich planters lived there, with few women besides prostitutes. Tobacco necessitated cheap labor because it was labor-intensive, requiring tending (weeding, de-worming) throughout the growing season. It was also toxic insofar as workers absorbed higher amounts of nicotine even than smokers, especially in wet fields. Overpopulated England saw the New World as a dumping ground for undesirables and sold young men into indentured servitude to work Virginia’s tobacco fields. In 1603, King James I proclaimed that ““rogues, vagabonds, idle, and dissolute persons [be] banished and conveyed [to] places and parts beyond the seas.” In exchange for work terms of 5-7 years, the servants got free passage and were given a small plot of land at the expiration of their terms. Most servants did not survive the term of their indenture, making them a more economical choice than African chattel slaves, whom the gentry that ran the plantations had to pay for up front. On the other hand, the planters didn’t have to free Africans at the end of a contract or provide land for them. For a while, these two labor systems existed side-by-side, but together they threatened planters with a unified, biracial, workers’ uprising. Planters outlawed interracial marriage and gradually phased out white servitude and black freedom (sometimes owners freed their slaves). After another round of Bubonic Plague in 1665-66 lessened overcrowding and the Great London Fire of 1666 generated a need for more workers to rebuild the English capital, Virginia transitioned to black and Indian slavery. Prior to that, the white and black labor systems coexisted. More white servants lived out their terms as health conditions improved. They were unhappy to receive the least desirable land on the western fringes of the backcountry, closer to the threat of Indian attack. The gentry and long-time Governor William Berkeley, conversely, clung to the seaboard and maintained friendly and lucrative fur-trading relations with local Susquehannock Indians. Declining tobacco prices in England caused by regulations also hurt everyone in the colony, but especially the working poor. Led by disgruntled planter Nathaniel Bacon, a unified force of mostly backcountry poor Whites and some black slaves took matters into their own hands. A string of mostly related events ensued known collectively as Bacon’s Rebellion (1676). Their initial reason for banding together wasn’t to overthrow the planters but rather to fight Indians. Their real goal was to expand the war beyond a recent small-scale scuffle with the Susquehannocks to a broader pan-Indian conflict. 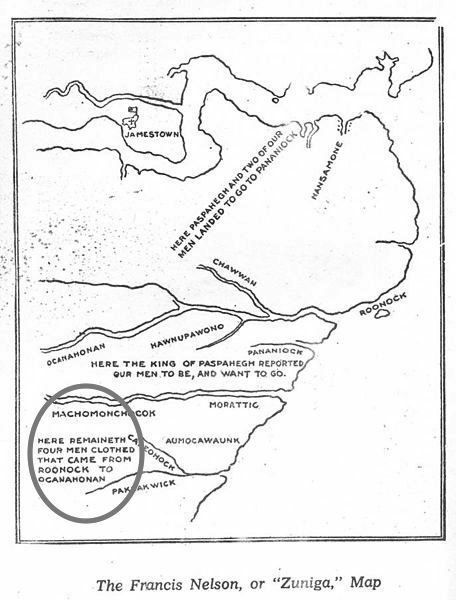 The Susquehannocks, meanwhile, were in a precarious position, surrounded by hostile tribes that included the Five Nation Iroquois. Like Governor Berkeley, they wanted to maintain a friendly alliance. But Bacon’s forces resented Berkeley’s refusal to authorize the “slaughter and dispossession” of all area Indians. After fighting against local Indians, Bacon’s men turned their momentum and anger against the gentry on the coast. Virginia’s gentry only retained control of their colony because reinforcing warships from England bailed them out (see The Burning of Jamestown, lower left). Governor Berkeley fled the colony prior to that and Bacon took over for three months. The uprising finally collapsed after Bacon died of typhus compounded by dysentery. Virginia’s gentry took the lessons of Bacon’s Rebellion to heart. The planters phased out indentured servitude and slavery hardened along racial lines. Now, all Blacks were slaves based on racial heredity. This transformation was underway even before the rebellion — with children of mixed marriages deemed slaves post-1662 per Partus sequitur ventrem — but Bacon’s mixed-race militia hastened the transition of poor Whites from indentured servants to small landholding, voting citizens and all Blacks to slavery. The gentry kept property qualifications for the voting franchise in place, but they made sure poor Whites got more land and paid lower taxes and they resolved to clear Indians from the backcountry. Poor Whites served on slave patrols and militias, a practice continued up through the Civil War two centuries later that inspired post-war vigilante groups like the Ku Klux Klan. The gentry essentially drove a deeper wedge between poor Whites and Blacks. In rare cases in the early 17th century, free blacks like Anthony Johnson even owned white servants, but that would have been impossible by the late 17th century. Poor Whites no longer had to doff their caps to the rich the way they customarily did in England. They could go to the same churches as the rich and their increased land carried with it the key benefit of voting. To wit: rich Whites bought off poor Whites with the vote, land, and morsels of social prestige to preclude class-based tension; racial tension suited their needs better. The areas where rich Southerners granted votes to poor Whites — unlike Europeans customarily had — shared the common trait of high black populations. After Bacon’s Rebellion, planters defused the potential of unified, biracial class warfare by closing ranks along racial lines. They consolidated along racial lines and co-opted poor Whites into the system. Europeans, conversely, didn’t need to treat poor Whites well because Blacks weren’t around. Racialized slavery stabilized the social order and more war on the frontier opened up opportunities for Whites to acquire Indian slaves. By the late 17th century, up to 40% of slaves on the Upper James River were Indians, including many children. Racializing slavery also meant that, unlike ancient Greece and Rome, it was obvious after emancipation in 1865 who the ex-slaves and their descendants were, impeding assimilation among racists. In Europe and Asia, by contrast, no one knows or cares whose ancestors were slaves or, for that matter, owners. Former white indentured servants could take pride in the fact that they weren’t so much poor as they were, above all, white. Thus, early democracy in the colonial South partially resulted from slavery rather than being a simple case of hypocrisy. Greek philosopher Aristotle said virtually the same thing about ancient Athens: that its democracy could only flourish atop its slave foundation. Poor white Virginians enjoyed liberty precisely because Blacks lacked it. Far from being contradictory, white freedom and black slavery emerged together and reinforced each other. Virginia, or the “Old Dominion,” was the first English colony in what later became the United States. It bequeathed to the nation’s future this tangled relationship between slavery and democracy, the complications from which we’re still sorting out. Its settlers were also on the vanguard of western expansion since tobacco cultivation with no fertilizer or crop rotation exhausted soil nutrients, leading planters on a constant search westward for more land. What was George Washington doing near Ft. Duquesne (Pittsburgh) in Chapter 3 when the French fired on him prior to the French & Indian War? He was surveying for more tobacco land. Most planters, including Thomas Jefferson’s father, doubled as surveyors. Many of the Founding Fathers that came from the South – Washington, Jefferson and James Madison, for instance – were Virginia tobacco planters, partially explaining why that drug enjoyed favored status by the American government until recently, even to the point of being subsidized. Jefferson was the early president most associated with western expansion and he sent two of his Virginia neighbors, Meriwether Lewis and William Clark, to explore the Louisiana Purchase and Oregon Country. 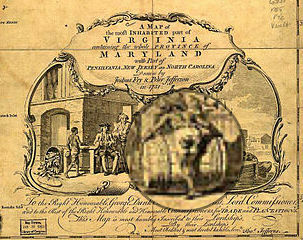 An economy similar to Virginia’s grew in neighboring Maryland, where Catholic settlers grew tobacco. Further south, the English set up Georgia as a colony of yeoman farmers that initially forbade slavery and as a buffer between themselves and the Spanish in Florida. But the heart of British America was the Caribbean, where sugar eclipsed even the profitability of tobacco and where most English who came to America migrated to. This was the most likely destination of African chattel slaves, and also included some Irish indentured servants — rebel Catholic prisoners captured by Oliver Cromwell’s forces during the English Civil War. Under Cromwell, the English tried to conquer all of the Spanish Caribbean as part of their Western Design. They fell short but acquired Jamaica (Spanish Santiago) and, earlier, gained control of Barbados, Montserrat, St. Kitts, and Nevis. While widespread today, sugar was a rare luxury item in the 17th and 18th centuries and thought to have wide-ranging curative powers. 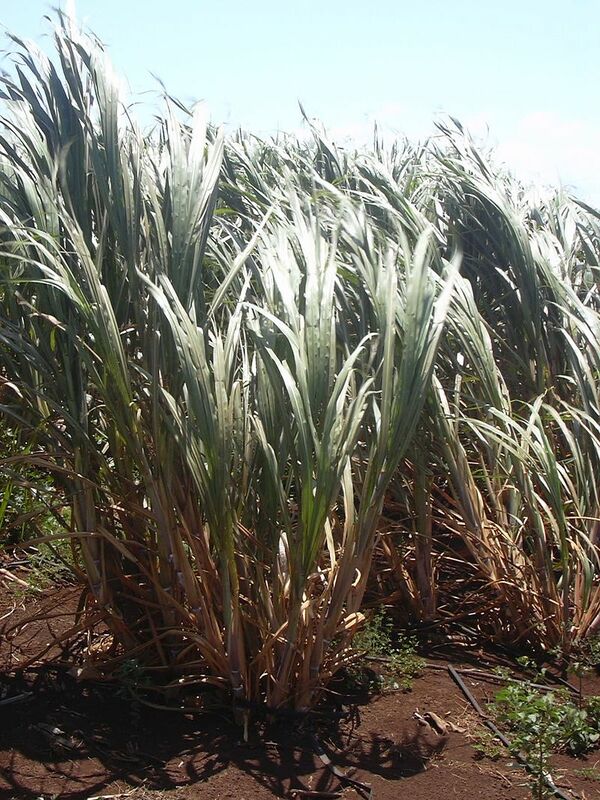 Sugarcane (Saccharum officinarum) was a key crop for processing the bitter core of cocoa plants into chocolate, and for rum. These commodities, along with tobacco, drove the Atlantic slave trade for the English in the same way precious metals had for Spain. 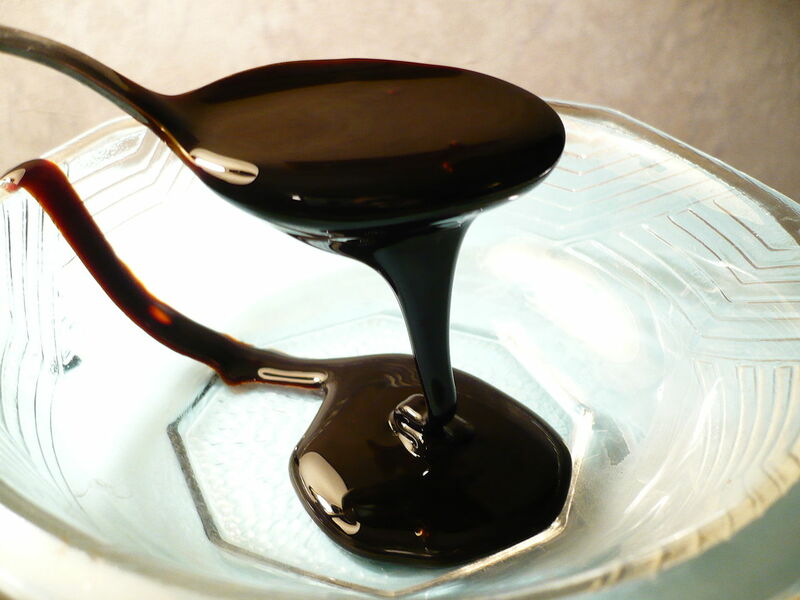 Molasses is a syrupy waste by-product of converting sugar canes to sugar. It turns to rum, otherwise known then as “cane brandy” or “kill-devil,” when fermented and distilled. Rum, in turn, could be converted to grog or other “punches” by re-adding sugar and lemon or lime. Rum and its offshoots became the primary drink of choice in the Atlantic world and a commodity used for bartering other products, including more slaves to grow sugar with. Navies started to give their sailors allotments of grog because, unlike beer or wine, the fruit ingredient prevented scurvy. Further north, New England colonists imported leftover molasses from the Caribbean to make rum when they struggled to make satisfactory beer or wine. The biggest city in British America was not Boston, New York, or Philadelphia; it was Port Royal, Jamaica, the “Sodom of the New World” (so named because of its ubiquitous bars and brothels), since destroyed by earthquakes and hurricanes. Overflow settlers from crowded Barbados migrated to the mainland to establish Charles Town (or Charleston), in the Carolina colony, where slave traders sometimes swapped Africans in exchange for Indians captured in the interior. Charleston quickly outstripped the Chesapeake as the main entrepôt for African slaves (via the Caribbean), as rice and indigo production drove its economy. Prior to synthetic dyes, all colors had to come from some plant or mineral. Painters, upholsterers, and textile manufacturers alike sought the bluish indigo along with the cochineal-based red (carmine) dye from Mexico mentioned in Chapter 3. Charleston, South Carolina and Savannah, Georgia retain some of their original Caribbean flavor today, though Union forces destroyed much of old Charleston during the Civil War. Rice production was such backbreaking work, done in waist-deep water full of snakes and leeches, that rice planters never bothered using poor Whites. The high slave concentration in the southern part of Carolina Province made the area a hotbed of pro-slavery sentiment. The Civil War Confederacy was born in South Carolina two centuries later. North of the Chesapeake, Dutch were settling the Middle Colonies that eventually became New York, New Jersey, Delaware, half of Connecticut and parts of Pennsylvania and Rhode Island. Holland (or the Netherlands) displaced Spain as the dominant European power by the 17th century, with Amsterdam growing into Europe’s biggest harbor. 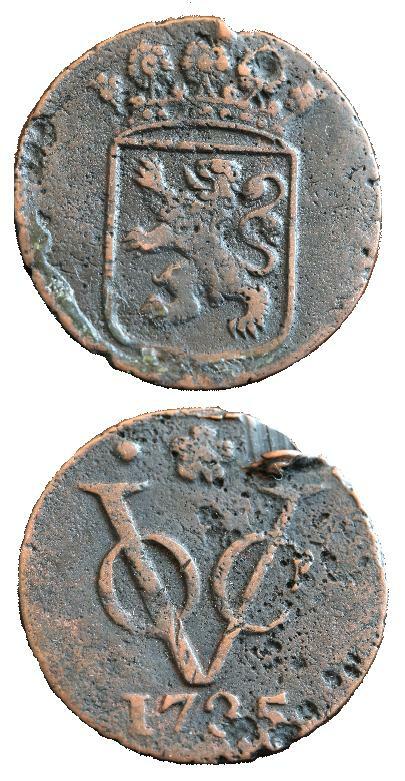 Both Sides of a Duit Issued by Dutch East India Co. The Dutch were ahead of the English, as well, in the early 1600s. Their government always paid back its loans, meaning that they could borrow at lower interest rates. Compared to the English monarchs’ 10% subprime rate, they could borrow 2.5x more at 4% (other factors equal) and, indeed, their fleet was 2.5x bigger. Dutch companies were first to import the double-entry accounting methods pioneered in Renaissance Italy and kept efficient books. To fight back the sea, the Dutch built a series of elaborate dikes and power-pumping windmills to uncover fertile land. These reclamation projects fueled not only engineering, below-sea-level farming, and national pride, but also credit markets. Churches and city councils raised funds for government bonds that farmers contributed to in small chunks. Amsterdam brokers likewise spliced stock into tiny fractional shares, allowing even peasants to invest in overseas ventures on the other side of the globe. Thus, big and small investors alike seeded overseas expeditions through the modern world’s first major stock-issuing corporation, the Dutch East India Company (1602-1800) or VOC. Dutch investors gave their guilders “permanently” to joint-stock ventures, or at least until they sold their shares, whereas English investors demanded all of their initial investment back after each voyage in either coinage or the product itself (e.g. spices). This gave the VOC an early edge over their English competitors as they could reinvest capital in more ships, armaments, and slaves — either African or other captured natives. The VOC conglomerate was an efficient, brutal, for-profit, hybrid navy-merchant marine. England became the Netherlands’ primary rival by the 1660s when sugar and tobacco came to rival spices. But around 1600, Holland’s true nemesis was Portugal, another small maritime empire that pioneered the spice trade. Just as the Portuguese dedicated themselves to exploration in the 15th century, 17th-century Dutch institutions (government, banks, markets, and courts) synchronized a well-oiled system of global exploitation that countries like England had to play catch-up to. The Dutch goal was to monopolize the “fine spice” trade in cloves, nutmeg, and mace, and to dominate pepper. The pepper trade was dispersed between India and (modern-day) Indonesia, then known as the Spice Islands and, later, the Dutch East Indies. 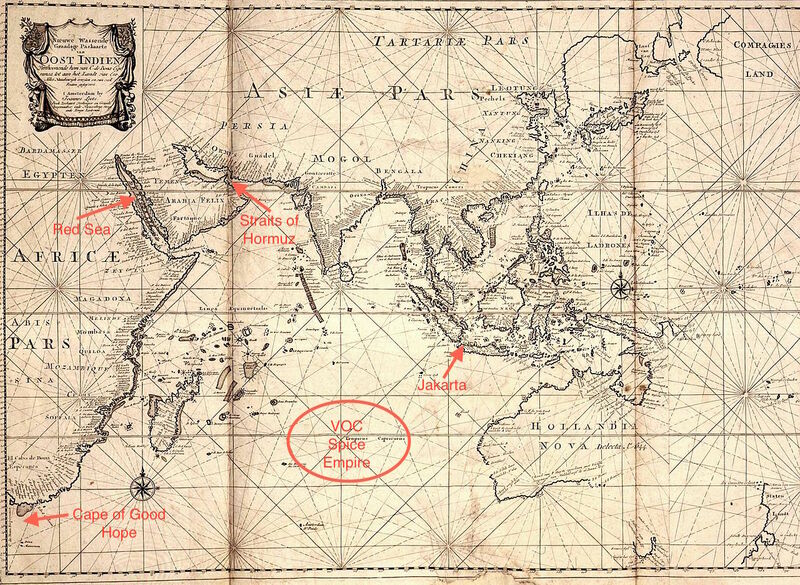 Jakarta, Java, in western Indonesia, was the hub of a thriving intra-Asian trade the VOC ran between India and the western Pacific, including Taiwan and Dejima, an island post near Nagasaki, Japan. 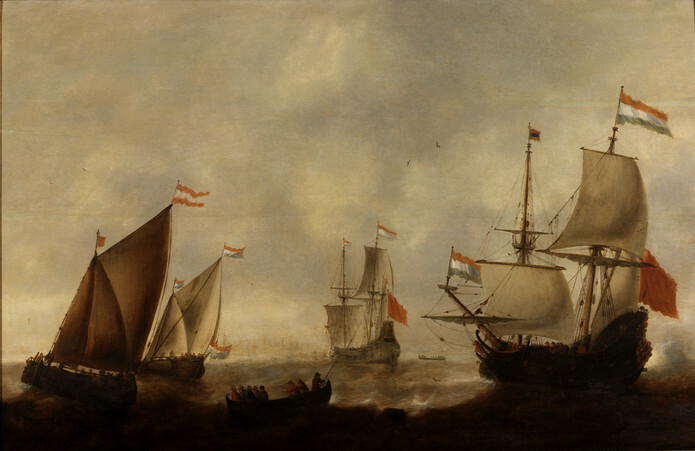 Dutch shipbuilders built vessels that could skirt around Africa’s Cape of Good Hope, allowing the VOC to bypass the more volatile Indian Ocean-Red Sea route and the Straits of Hormuz through Persia (aka “Sinbad’s Way”), that they conceded to the English and Portuguese. But the Dutch were looking for an easier route yet to their Asian colonies than the long passage south around Iberia and Africa. 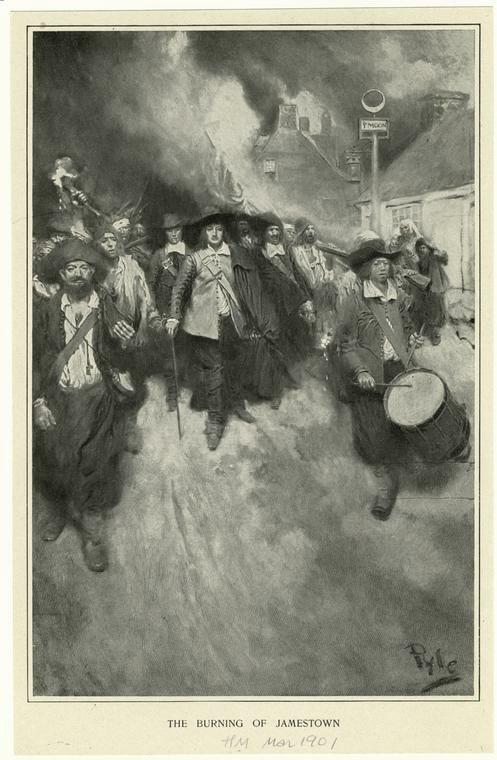 While they were mainly concerned with Asian and (later) Latin American trade, the Dutch made the best of the situation and established a fort at the source of the Hudson River called Ft. Nassau (later Fort Orange), near modern-day Albany, New York, and another outpost at Good Hope, now Hartford, Connecticut. 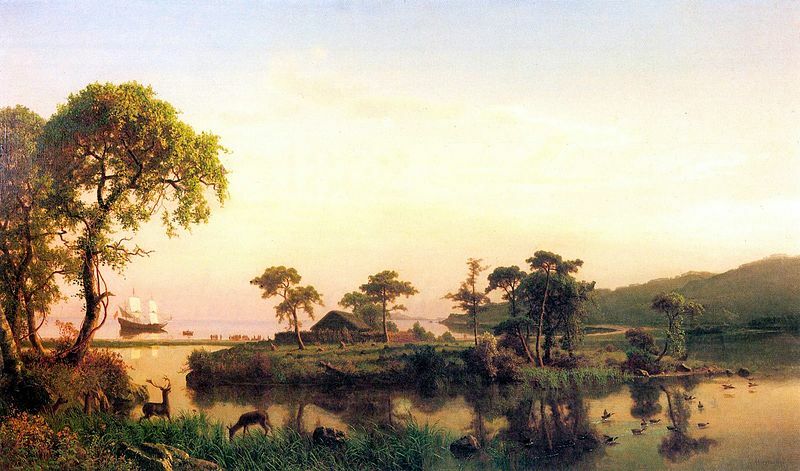 At the Hudson River’s mouth in 1621, they bartered a handful of items and guilders for possession of Manhattan Island from the Manhatta band of the Lenape Indians — often called one of the great real estate heists of all time. They named the island New Amsterdam and overall colony New Netherland, inviting European settlers of all nationalities and ethnicities to settle there, including Italians, Jews, Germans, Scandinavians, Africans, and English that soon outnumbered the Dutch. 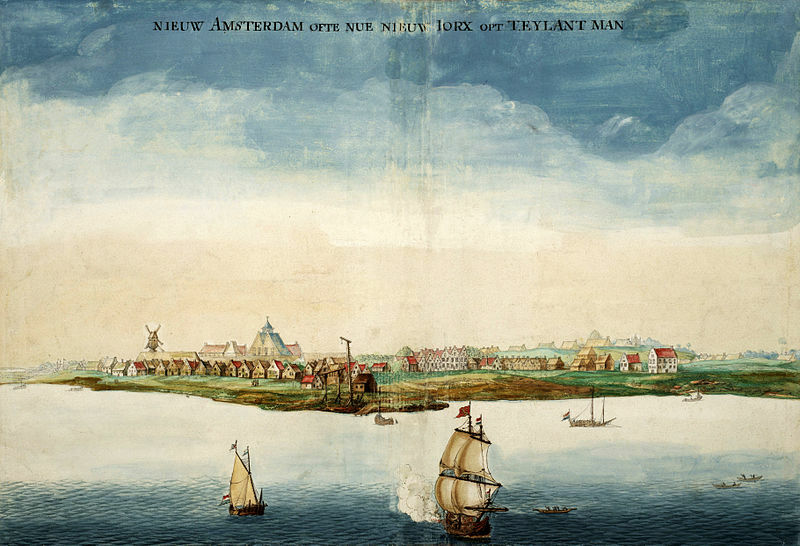 Even then, centuries before J.P. Morgan, the New York Stock Exchange or immigrant taxi drivers, New Amsterdam was all about commerce; it didn’t matter where you came from or what language you spoke. They didn’t necessarily get along well, but they put up with each other. 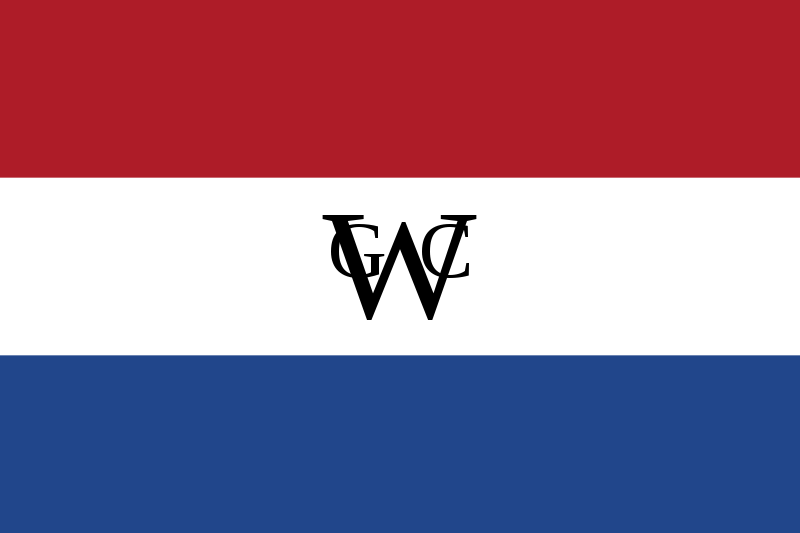 In 1621, the Dutch spun off a subsidiary of the East India Co. called the Dutch West India Co. to handle the Latin and North American end of the business and rule their colonies in the Western Hemisphere. Early New York, then, like Virginia was basically a corporate fiefdom. The Dutch left an imprint on American culture by importing sports such as golf, bowling, sledding, and skating, along with Santa Claus (Sinterklaas) and the Easter Bunny, and words including cookie, crib, duffel bag, and boss. Given the fact that they only controlled the area for half a century, those are some significant contributions. Can you imagine the U.S. today without golf or Santa? And what do we leave Santa? Cookies. They also built a wall along the northern edge of New Amsterdam that became known as Wall Street, today in the far southern part of Manhattan near the Battery. Like Santa and golf, the businesses that operate on and around that iconic street are fundamental to American culture. But the most important Dutch contributions were the pluralism and thriving commerce that still define New York City today. Even after England took over, they maintained the republican government and commitment to free trade established by Dutch politician Adriaen van der Donck. The Middle Colonies, including New York, Rhode Island (Chapter 6), and Pennsylvania (Chapter 7), were critical to establishing the freedoms later ensconced in the U.S. Constitution’s Bill of Rights. When England’s Charles II restored the throne after the English Civil War (1642-51) and Cromwell’s Puritan Commonwealth (1649-60), he repaid some of the friends and relatives who helped him by giving out large tracts of land in America. He gave the Carolina Province to Anthony Ashley-Cooper and Pennsylvania to William Penn, for instance. He gave New Netherland to his brother, the Duke of York, the future King James II. Curiously enough, it wasn’t his to give. Still, the Dutch had never taken a strong interest in North America and the West India Co.’s northern outpost was something of a sideshow. They struggled with Indian attacks, especially around the periphery of their territory, and West India Co. Governor Peter Stuyvesant struggled to keep the peace among an unruly and frightened population. The English gained control during the Anglo-Dutch wars and, at first, the Dutch didn’t put up much of a fight for the area, with Manhattan lightly defended. The two contestants were, by now, the reigning naval, slave-trading, and mercantile powers in the world and there was plenty of loot to go around for shareholders in their respective joint stock companies. 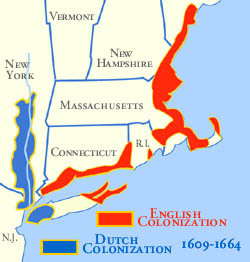 Given the unpopularity of the West India Co.’s rule and the many English settlers already living there, England coaxed the Dutch into giving up their claim on New Netherland. In exchange, the Dutch received prosperous Run, a tiny nutmeg-producing island in the Indian Ocean, and Suriname, a colony on the northeastern coast of South America. Thus, in 1664 New Netherland became the English colony of New York and New Amsterdam became New York City (sometimes known then as York City or York Island). 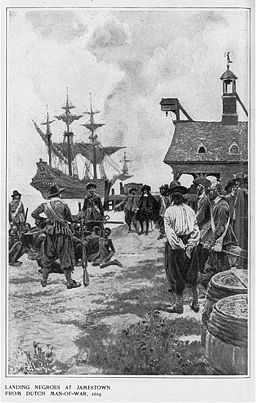 The takeover of New Amsterdam was mostly peaceful, but British troops rampaged the Delaware Valley, massacring one entire village of Mennonites, and they sold some Dutch prisoners into indentured servitude in Virginia. A Dutch invasion and brief occupation in the 1770s led to the harsh rule of Governor Anthony Colve, during which time New York was known as New Orange and English settlers were discriminated against, interrogated for espionage, and tortured on medieval devices like the Wooden Horse. However, at the conclusion of the Third Anglo-Dutch War, with the Dutch Republic temporarily bankrupt, control reverted back to the English, who resumed calling it New York or York Island. Greater New York City retains the Dutch-named neighborhoods and boroughs of Harlem (Haarlem), Brooklyn (Breuckelen), Bronx (Bronc), Yonkers (Jonkheer), Staten Island (Staaten Eylandt), and Greenwich Village (Groenwijck). Brooklyn’s Bedford-Stuyvesant section, the notoriously tough “Bed-Stuy,” was named for Peter Stuyvesant. The blue and orange of the Dutch Republic flag appear on New York flags and seals and their pro basketball team, the Knickerbockers (the baseball Mets are also blue and orange, in their case a combination of the old Giants and Dodgers that left for California in the late 1950s). 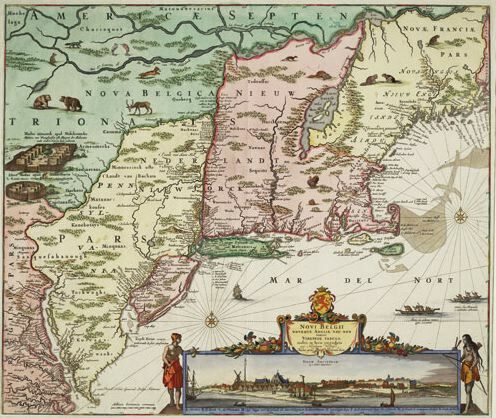 New Jersey, Pennsylvania, western Connecticut, all of Rhode Island, and New Sweden (Delaware) also came under English control. 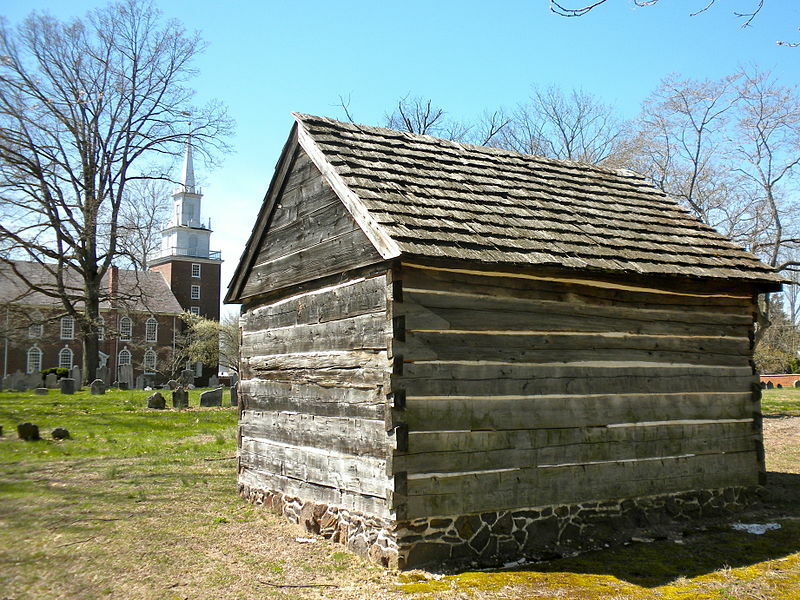 While the Swedes didn’t have a big impact on colonial America, they made one great contribution that suited the snowy American winters and helped tame the American frontier: the log cabin.